Last week, The New York Times published a much-discussed analysis of Census data under a headline claiming that 1.5 million black men are “missing” from daily life in America. Because of punitive and racially targeted criminal justice policies and factors leading to premature death (including declining but high homicide rates), huge swaths of black men are tucked away in prison cells or early graves. The study found that for every 100 black women in the United States who are not in jail, there are 83 black men in the same category. Among white Americans there’s barely a gap, with just one missing man for every 100 women. The Times’ graphics and reporting are fascinating, but analysis veered off into shallow and well-trod territory, concluding that a primary outcome of these “disappeared” men is that black families are set up for dysfunction because too few men are around to be husbands and fathers. Through this lens, the systemic assault on black lives hurts black women because they’re left alone in to raise families on their own. Last Monday, we got a glimpse of why a focus on black women as secondary casualties of policies and practices that fuel the mass disappearance is short-sighted. 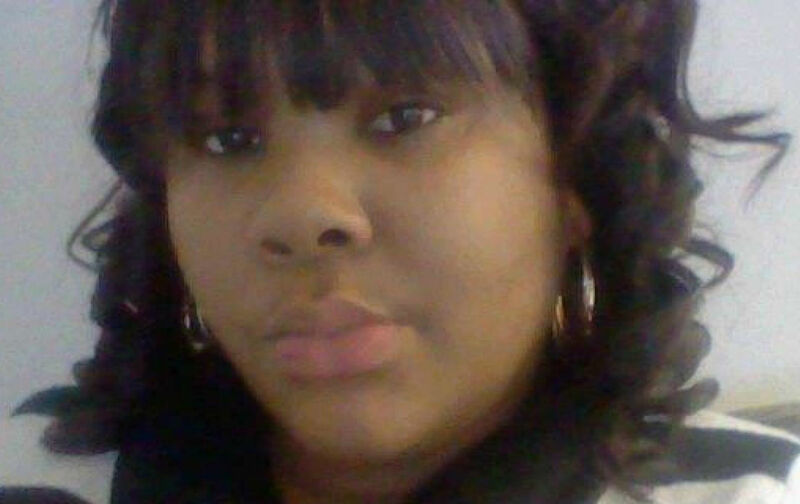 That’s the day a Cook County judge dismissed the charges facing the Chicago officer who, while off-duty, killed an unarmed 22-year-old black woman named Rekia Boyd in 2012. The reasoning the judge gave for the acquittal is particularly galling: The killing was obviously intentional, so only a murder charge — as opposed to the lesser involuntary manslaughter charges the DA brought—could have stuck, the judge said. The officer killed Boyd after he approached a group of people she was standing with because they were talking too loud for his taste. He maintains that killing her was an accident. …Most people don’t know Boyd’s name. They don’t know names like Shantel Davis (killed at age 23), Aiyana Stanley-Jones (killed at age 7) and Kendra James (killed at 21), either. When black men are killed, slogans like “hands up, don’t shoot” or “I can’t breathe” echo across the country. When black girls and women like Boyd are killed, there is comparative silence. Yes, black men are more often the victims in these cases of police abuse. But that doesn’t explain why the outrage tends to be less loud when a black woman or girl is killed. About 30 protesters gathered Monday after the acquittal was announced, according to news reports out of Chicago. One report on a New York City rally held in Boyd’s memory this week lamented the size of the crowd that showed up, which was made up of fewer than 100 people. It’s against this backdrop that the African American Policy Forum (AAPF) continues to host gatherings across the country to give black women and girls an opportunity to speak for themselves about the challenges they face. The town-hall meetings began last year in Los Angeles as part of an effort to influence the national conversation around President Obama’s My Brother’s Keeper initiative to improve the lives of boys of color. AAPF held a similar gathering in New York City to inform the debate around Mayor Bill de Blasio’s local initiative, which has the same focus as the president’s. Last week, the organization hosted a meeting in Washington DC, where the implementation of a $20 million plan to improve test scores and graduation rates for black and Latino boys is underway. Critics, including AAPF, argue that such plans play into the misguided belief that from the classroom to the street corner, boys of color are struggling, while the girls who are their peers are generally fine. “Pretty much across the board, black girls are doing just as bad as black boys,” Rachel Gilmer, AAPF’s associate director told me. She points to a recent Institute for Women’s Policy Research report that finds that much of the data used in making a case for My Brother’s Keeper—78 percent of statements in a recent MBK interim report issued by the administration, for example—refers to the dire situation of youth of color in general, not specifically boys and young men. The relative quiet in response to the acquittal in the Boyd case speaks to much of what AAPF has been trying to bring to light over the course of the past year. When it comes to getting black women and girls included in the developing narrative about a general disregard for black lives, they continue to have their work cut out for them. AAPF plans to host additional town hall meetings in Philadelphia and Miami.